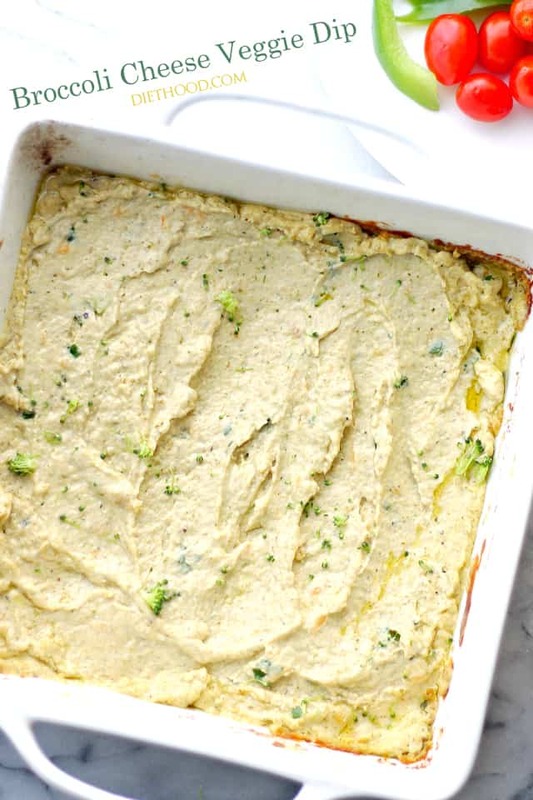 Broccoli Cheese Veggie Dip – Cheesy, warm and creamy veggie dip that’s perfect for game days! I’m also people-watching and the dude next to my table just offered me his fries. Kind people are awesome. However, while you are watching THAT game, I’m sitting over here dippin’ my broccoli and watching Macedonia play in the World Men’s Handball Championship! Well, for now, it’s my addiction. Also? It’s similar to basketball, but instead of a basket, there’s a net, similar to a soccer net. Thus, it’s like soccer + basketball in one. OK, not really, but almost. So our veggie dip here was born out of pure necessity. To save ourselves from biting off our fingers during an intense game between Macedonia and Bosnia, a dip, veggies and chips saved the day. And our fingers. Oh my gosh, you guys. WHY did I wait this long to add broccoli to my cheese DIP?! I mean, I add broccoli to my Shells and CHEESE, so I should have figured it out by now, you know? Duh. Just to be clear. 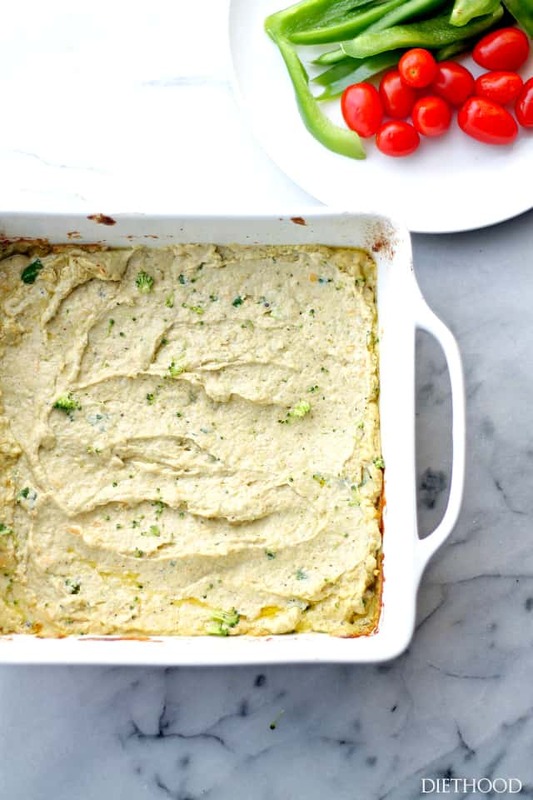 Dipping broccoli into a broccoli dip is totally fine. Don’t listen to my other half. He snorted when he saw my veggie tray overflowing with broccoli. I’m just a broccoli-fiend and won’t deny it. 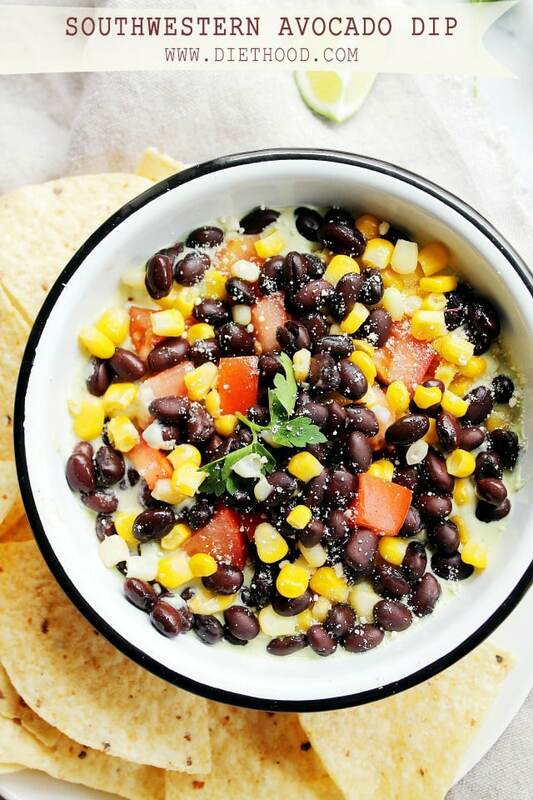 If you so happen to love your chips more than anything else, dip your chip. I ain’t gonna tell. Nor judge. Carry on, weekend warriors! Have fun, be safe and see you tomorrow! Preheat oven to 375 Fahrenheit. Add water in a pot and bring to a boil. Add broccoli to boiling water and cover. Cook for 5 to 6 minutes, or until just tender. Drain and run cold water over broccoli for 1 minute, or until cold. 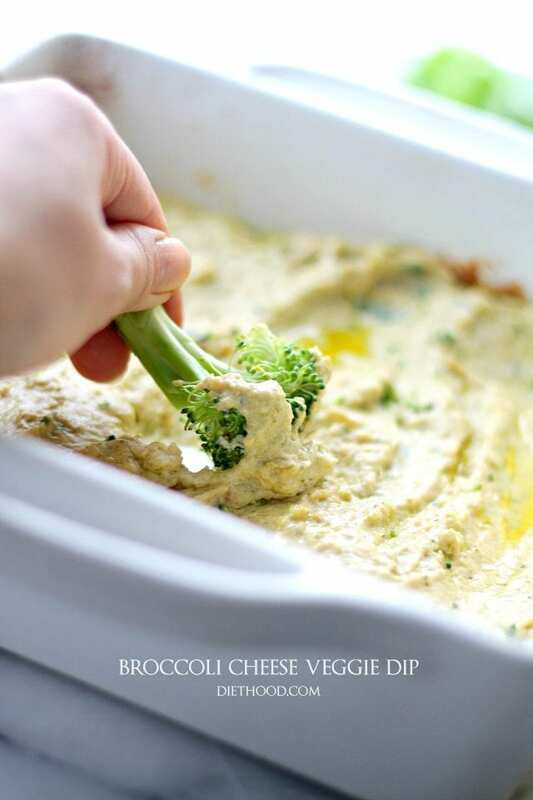 In a blender, combine cooked broccoli, cream cheese, mayo, milk, shredded cheeses, garlic cloves, salt and pepper. Process until well blended and smooth. Transfer mixture to a 1-quart baking dish and sprinkle with cheese. Bake for 25 to 30 minutes, or until hot and bubbling. I’m a broccoli fiend as well so there’s no such thing as too much broccoli in my book! 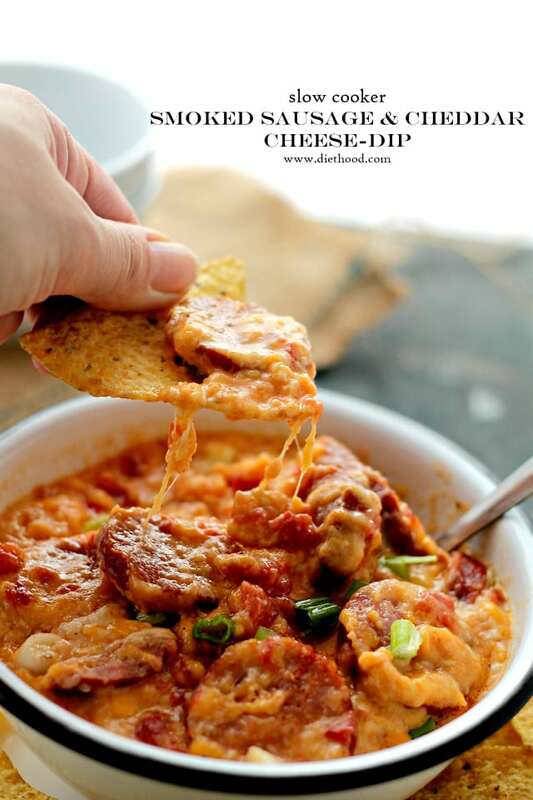 I could definitely polish off a large bowl of this delicious dip right now.. along with a good crusty bread and glass of wine! 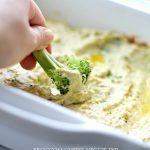 i love the broccoli and cheese combo and I love dips so I am making this! Funny, I was driving home an hour ago from a birthday party and I discovered a McDonalds with a play place not too far from me and thought what a good idea to bring my toddler here-no joke! Hi Deanna!! Happy New Year!! Happy New Year’s to you as well! I hear ya on keeping them away from McDonald’s my parents swear it’s not the end of the world if we take them there-don’t know what is with grandparents and taking grandkids there-nostalgia I guess 🙂 I figure while the weather is crummy it’s one more place to let them burn off energy lol. Bookmarking this recipe-thanks for sharing! I already have visions of myself hoarding all of this to myself and eating it as a meal. This looks awesome. It would be a great addition to any Super Bowl party buffet. We are kicking off a Snacks for Super Bowl XLIX party. I hope you can run on over and share this. I’m a broccoli field, too. 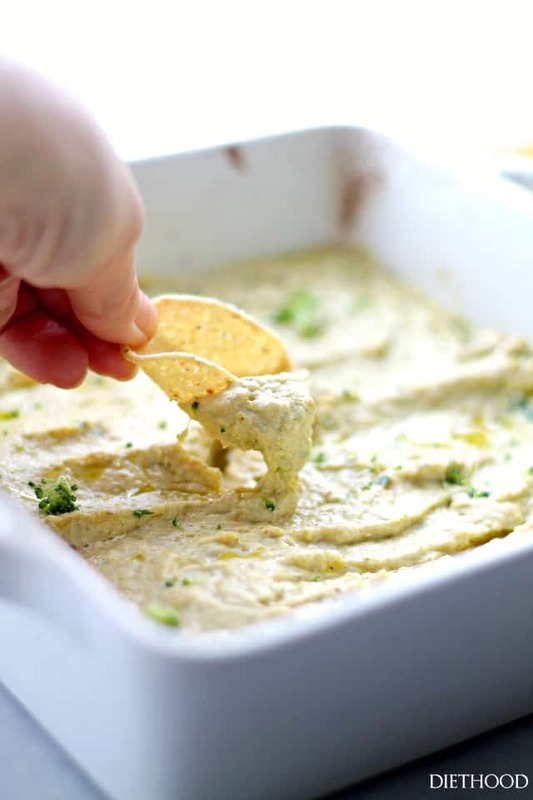 I’d totally dip tons of broccoli in this dip. Also, you’re a better person than me. I can’t handle playplaces.